Kraków (Polish pronunciation: [ˈkrakuf] also spelled Krakow or Cracow, is the 2nd largest and one of the oldest cities in Poland. Its historic center was inscribed on the list of World Heritage Sites as the first of its kind. 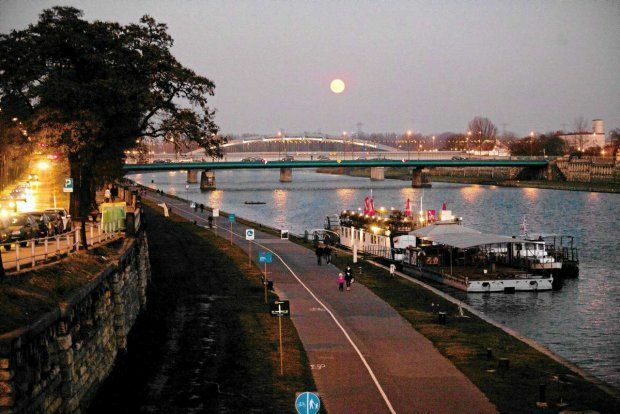 Krakow is situated on the Vistula River (Polish: Wisła). The city dates far back to the 7th century. It has traditionally been one of the leading centers of Polish academia, cultural and artistic life and is one of Poland's most important economic center. It was the capital of Poland from 1038 to 1596; the capital of the Grand Duchy of Kraków from 1846 to 1918; and the capital of Kraków Voivodeship from the 14th century to 1999. It is now the capital of the Lesser Poland Voivodeship. 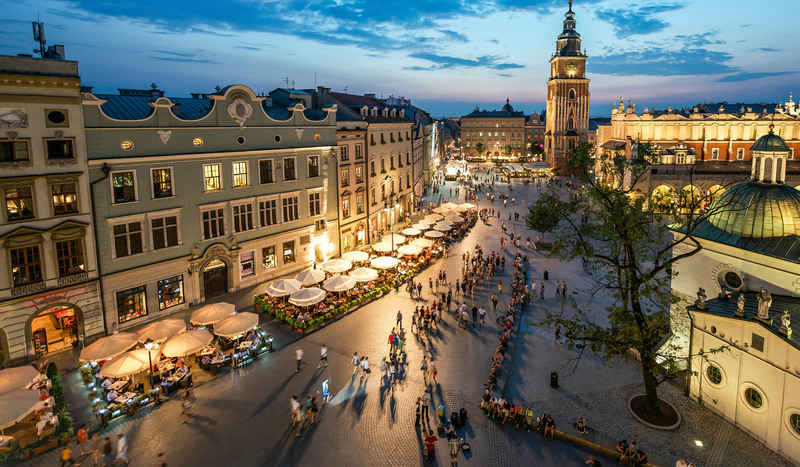 The city has grown from a Stone Age settlement to Poland's second most important city. It began as a hamlet on Wawel Hill and was already being reported as a busy trading center of Slavonic Europe in 965. With the establishment of new universities and cultural venues at the emergence of the Second Polish Republic and throughout the 20th century, Kraków reaffirmed its role as a major national academic and artistic center. A famous Da Vinci’s masterpiece Lady with an ermine is hosted at the Czartoryski Museum. Painted around 1489-1490, its subject is identified with Cecilia Gallerani, the mistress of Lodovico Sforza, "Ludovico il Moro", Duke of Milan. The painting is one of only four female portraits Leonardo painted (the other three being the Mona Lisa, the portrait of Ginevra de' Benci and La Belle Ferronière). Another art treasure is the gold-plated dome of the Sigismund Chapel that crowns the best example of Renaissance art and architecture , or the 81-meter-tall tower with a Gothic spire dating back to XV century. Always in theme of arts, another Krakow’s wonder is the 42-foot-high and 36-foot-wide Veit Stoss' magnum opus. It is considered to be the largest Gothic sculpture in the world and consists of 200 fine lime wood sculptures treated with color and gold foil. Who’s Veit Stoss? he was one of the first artists from Northern Europe who could be compared with Italian Renaissance artists. The power of expression of the gestures of his characters, compounded by the folds in their garments, give his sculptures a dramatic aspect. Veit Stoss, besides being a sculptor, was also a productive engraver and painter. Through his engravings he could circulate his works on a generous scale. But even in the two-dimensional space of his engravings, he always expressed himself as a sculptor. You can see his sculpture at the St. Mary's Church, in Kraków. Nine centuries of mining in Wieliczka produced a total of some 200 kilometres of passages as well as 2,040 caverns of varied size. So you will be able to spend your time in a world of labyrinthine passages, giant caverns, underground lakes and chapels with sculptures in the crystalline salt and rich ornamentation carved in the salt rock. If you got inspiration by this subterranean world, maybe you can have a quick visit to the Franciscan monastery adjoining the church of St. Casimir where bodies get mummified by themselves in the dry cold crypts. Beside cultural and curious sites to visit, Krakow offers a lot of green spots where you can relax, have a pic-nic, or stroll with some music, friends and meet locals. There are something like 40 public parks, including the 1020-acre Las Wolski forest. You cannot miss the planty ring of about 30 gardens since it encircles the central Old Town historic district. Its leafy alleys and flowerbeds replaced Krakow’s once awesome city walls in the 1820s. But one of the most beloved by local people is for sure the Park Jordana very close to the National Museum, downtown. There you can get a paddling tour in the pond or play your sport in different playgrounds. As the park spread alongside three major campuses and the central university library, it is clear that this is a spot privileged by students and joggers, strollers, dog owners, sunbathers, etc. There is also a very old botanical garden set up in 1779 featuring 5000 exotic and native plants (27, Kopernika street). Very nice place to relax right in the middle of the city. Also, in terms of accommodation, you will be happy to know that Krakow offers some of the nicest and cheapest youth hostels of Poland. After the invasion of Poland by Nazi Germany at the start of World War II, Kraków was turned into the capital of Germany's General Government. The Jewish population of the city was moved into a walled zone known as the Kraków Ghetto, from which they were sent to extermination camps such as Auschwitz and Plaszów. In 1978—the same year UNESCO placed Kraków on the list of World Heritage Sites—Karol Wojtyła, archbishop of Kraków, was elevated to the papacy as Pope John Paul II, the first non-Italian pope in 455 years and the first ever Slavic pope. 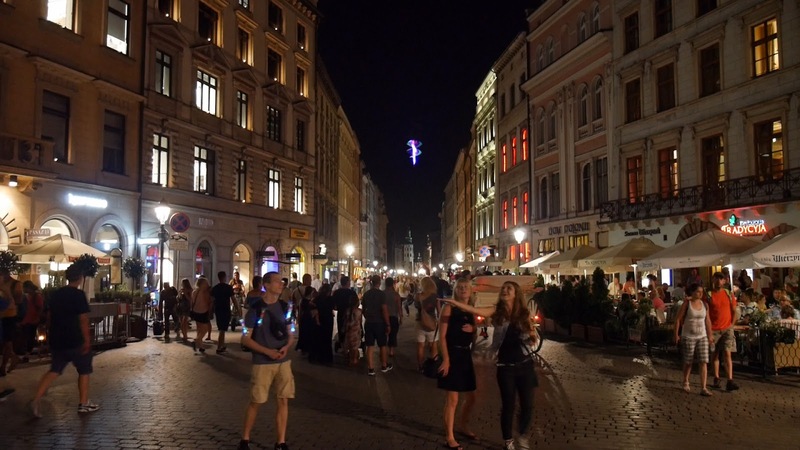 So have a look around and you will discover that some of the cutest and cheapest youth hostels of Eastern Europe are in Krakow, Poland offering a warm hospitality! It is advisable to make your bookings well in advance to reserve your accommodation if you wish to get a central location and the best price in beautiful Krakow.